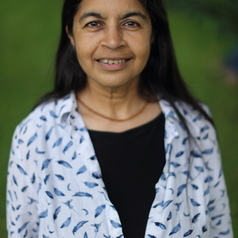 Nalini Joshi is a Georgina Sweet Australian Laureate Fellow in mathematics and the Chair of Applied Mathematics at the University of Sydney. She develops mathematical methods to study solutions of integrable systems which arise as universal models in physics, such as the Painleve equations.Her more general research interests lie in non-linear differential and difference equations, with a particular focus on asymptotic methods. Currently,Nalini is particularly interested in creating a geometric framework to reveal properties of critical solutions of nonlinear models that reflect universal structures in physical models.